Penda Mbow visited BYU’s campus. 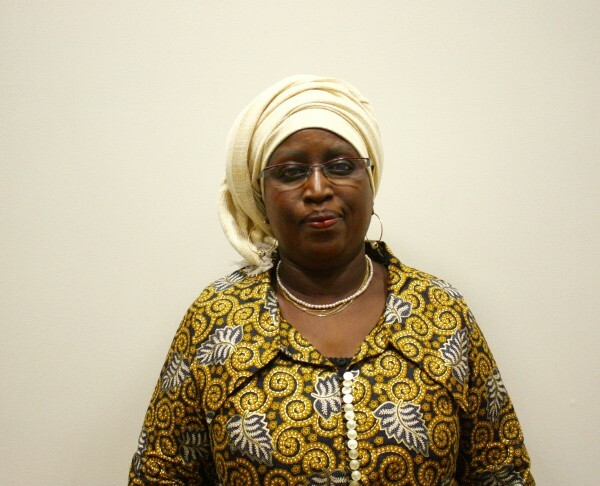 She discussed the role of women in the public sphere in Africa in a session of the Women’s Studies Conference. 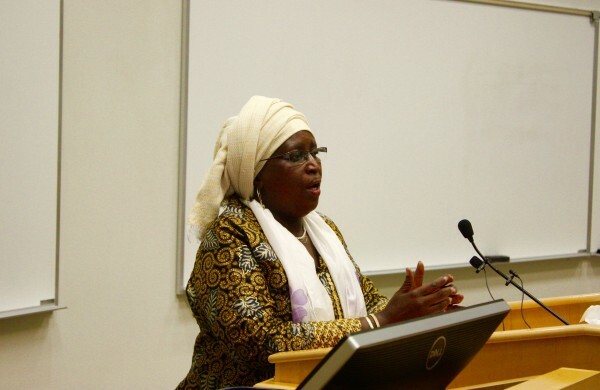 Mbow visited BYU’s campus and gave three lectures, including “Women in the Public Sphere in Africa,” a keynote address in the Women’s Studies Conference. In this address, she explained the current state of women in African society and stated a need for change. “We need to understand the dynamism of [African] women and their central role by participating in democracy and really being a citizen,” said Mbow. Mbow explained that historically, African society was matriarchal. Legacy and inheritance were passed down through the mother. Now, however, only men control power in Africa, which can be largely attributed to European colonization. The women are not treated as true citizens; women are objectified and looked down upon, and they have little political influence. Mbow noted that it is important to question these things, so that women can obtain a larger role in society and equality. Mbow classified women’s powers into two categories: the public and private spheres. Public power comes out through economic and political involvement. Currently in Senegal, both of those are discriminatory. Society questions whether or not women have a place in the workplace or government; however, Mbow explained that women do find hope from the role played by the state. After Senegal became independent in 1960, President Léopold Sédar Senghor’s administration supported a feminism of the state. This policy brought legal reform and institutions and created new roles for women by organizing women in different levels and using this organization to shift their position and put pressure on society. Then in 1972, the Senegalese voted to change the age of marriage and also changed the view of the polygamy system, which was a step toward a new status for women. Furthermore, the feminist state created a period of economic dynamism. Regardless of the benefits of state feminism on society, however, these changes were met with resistance from conservative and religious factions and resulted in what Mbow called a “crisis of masculinity,” with repercussions in the private sphere. While Senegalese women do preside over the household chores, they are still subject to men in the home. Women are typically less educated than men, and they hold less weight in the decision-making process for a household. Furthermore, there is the issue of rampant domestic violence. Mbow explained that as women gain more power in the public sphere, men grow more insecure in the private sphere, and domestic violence increases. Mbow asserted that domestic equality needs to be reached, and the gap between women’s power in the public and private spheres needs to be bridged. Mbow noted that things are changing in African society, and feminism plays a causal role in that. Women are beginning to participate more in politics; they are sharing and participating in power as a way to bring about change. Women are also becoming more involved in the economy; they are gaining access to credit, land and development and are working more. “In every area, you can find women trying to push and produce some change,” said Mbow. Mbow does not believe that African society has reached a system of equality yet, but it is on its way there. Once a woman is elected into power in a context of peace and economic development, Mbow believes equality can be obtained. Kayla covers the Department of French and Italian and Women’s Studies for the College of Humanities. She is a junior pursuing a dual degree in French studies and Journalism with a minor in international strategy and diplomacy.